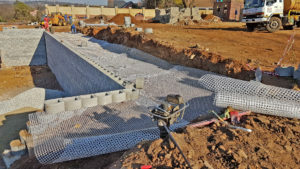 ← 3/2019 – 40 years of commitment to technical excellence! 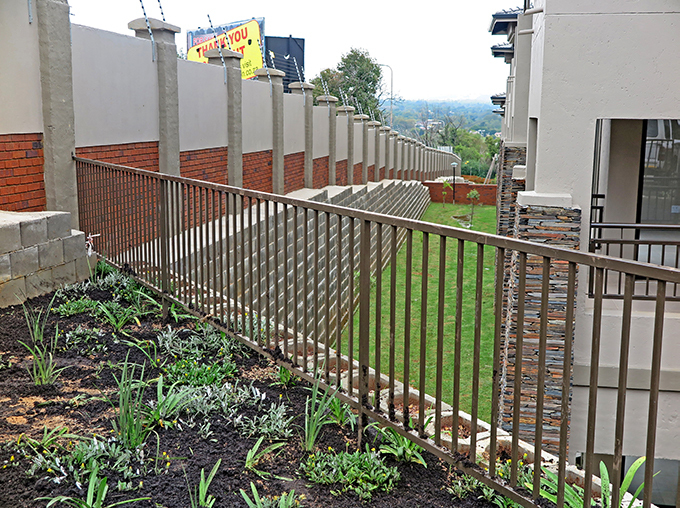 Developers and Architects are often faced with the challenge of restricted or even no space at steep or small building sites. 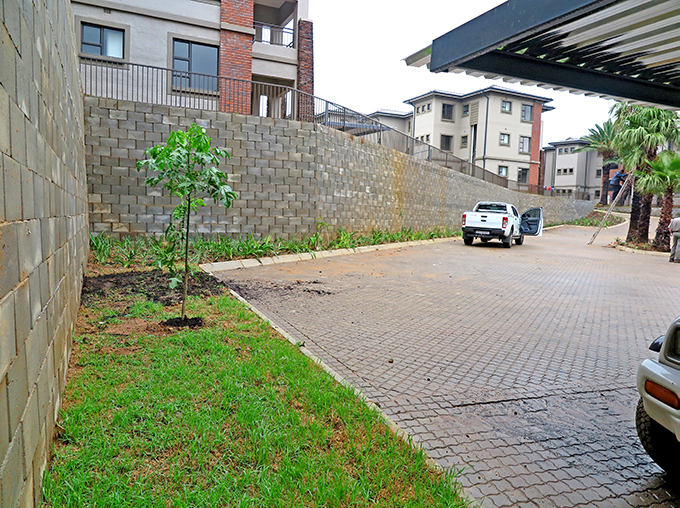 This is when retaining walls with the smallest possible footprint on plan must be designed to make it all possible. 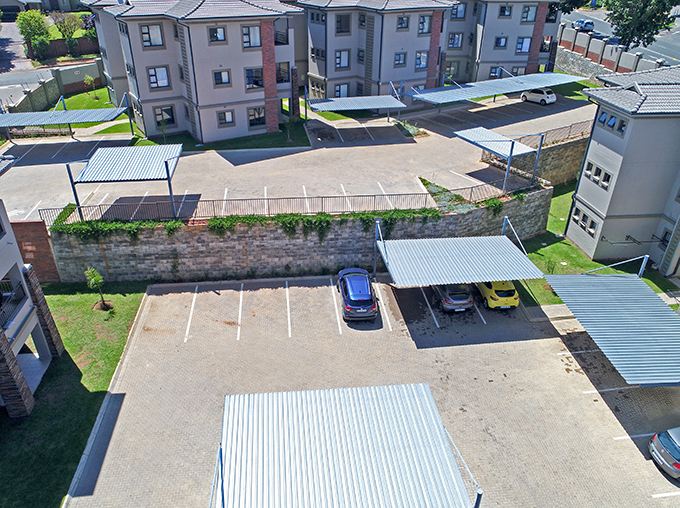 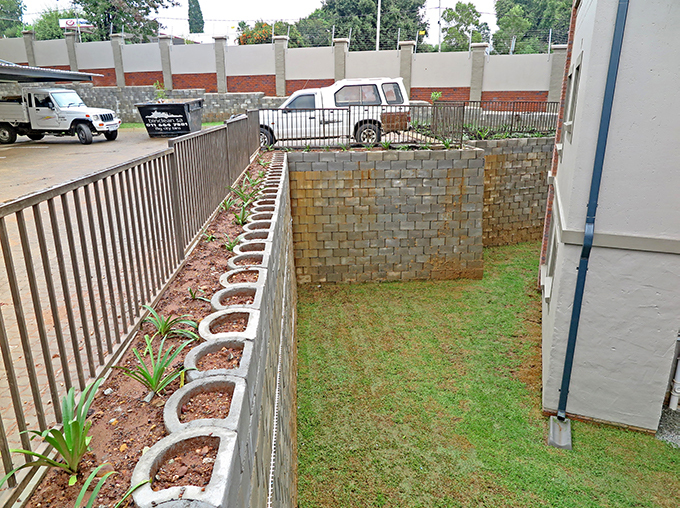 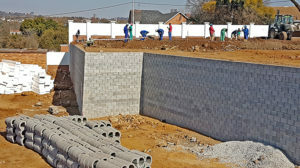 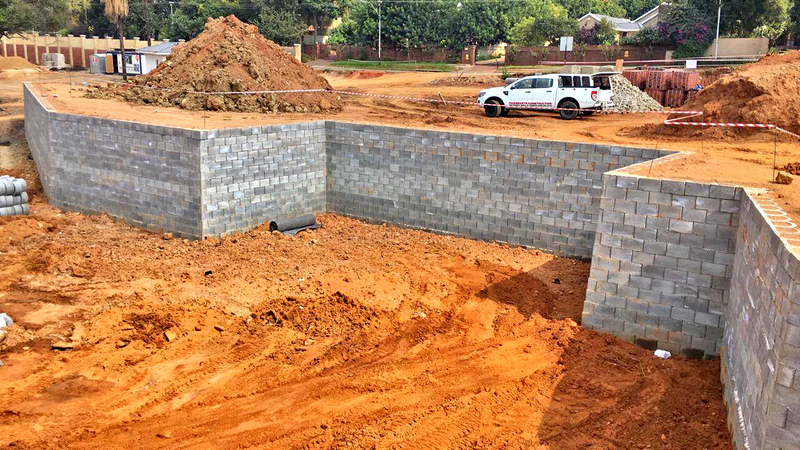 For this project, Ferraris specified the Terraforce L11 block, which is supplied by Remacon Products, Terraforce licensed manufacturer based in Gauteng. 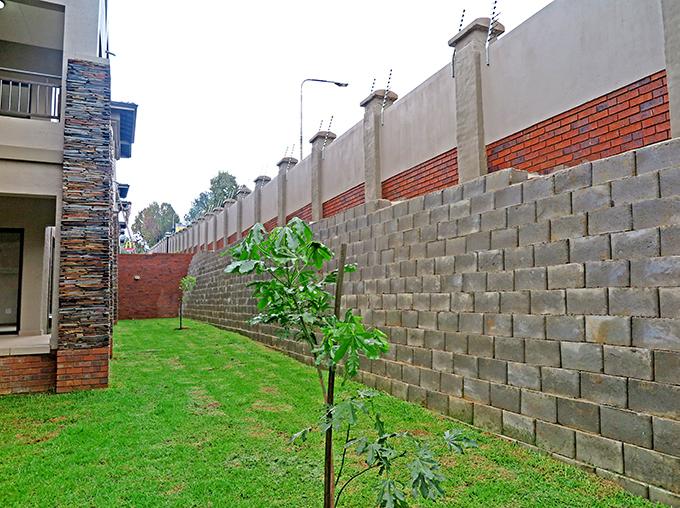 The installation features a series of near vertical walls measuring up to 3m in height with a solid look, yet textured block finish. 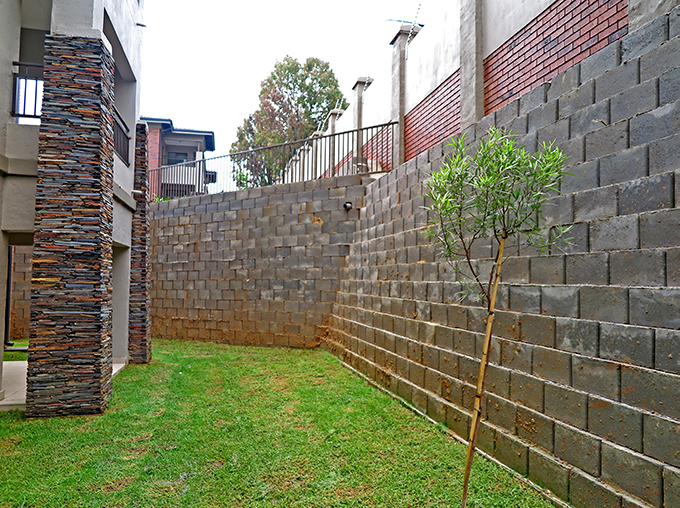 This was achieved by turning the block to face with their flat face outwards. 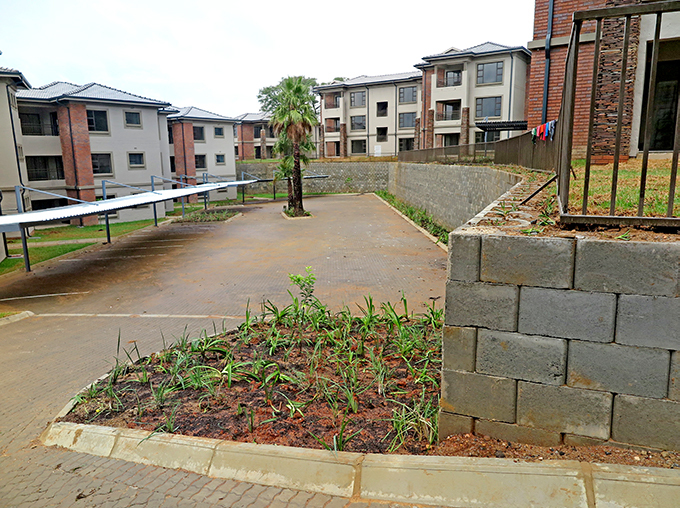 The blocks were also cut to create a range of sharp corners, maximising every square inch of space for the apartment blocks and gardens, in particular some old palm trees that needed to be preserved. 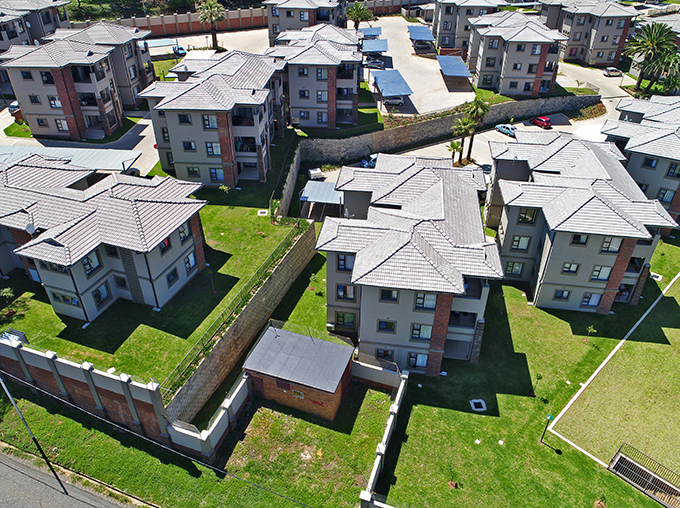 As the drone images of the development show, the brief was carried out very successfully. 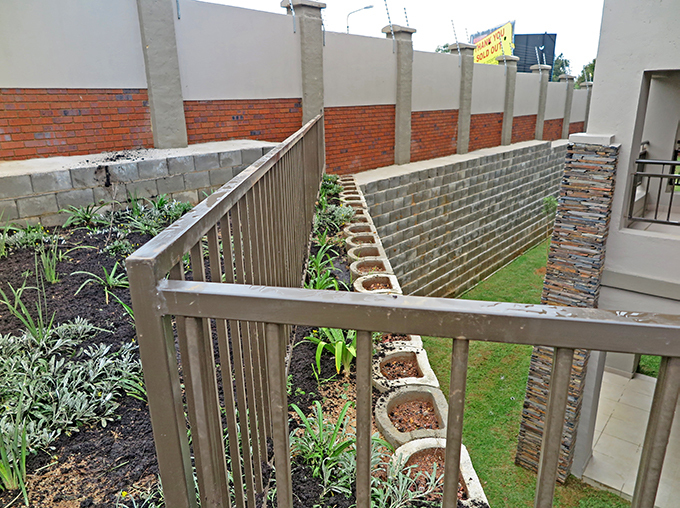 The steep walls are precisely installed with superbly constructed corners, remaining unplanted for little future maintenance, as requested by the client.